This was a late night idea gone awry. My husband and I came up with an idea to make me 3D printed violins for my musical performances and musical videos. However, over time we began to think a little bigger. 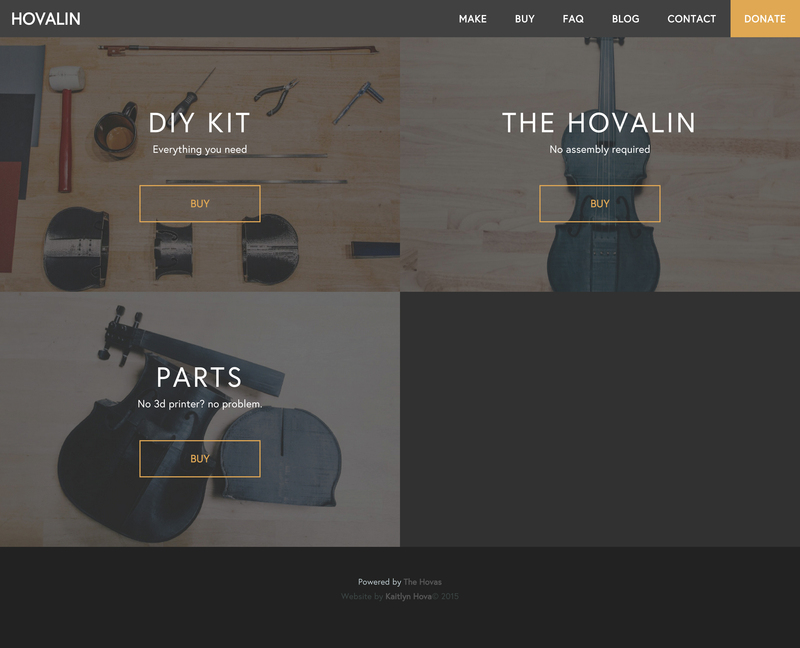 What about an open source 3D printed acoustic violin that just about anyone could print? We were inspired by David Perry and his FF Fiddle, and decided to start from scratch. 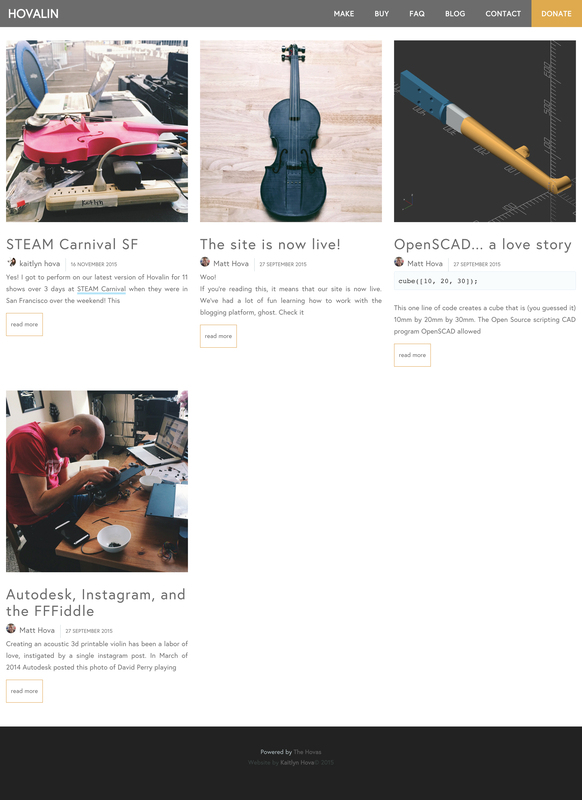 Since launching, our project has been picked up by several super rad news outlets that include 3D Print.com ,The Strad, Digital Trends, Tech Times, Omaha World Herald, Hear Nebraska, and 3Ders.org. But what about the website? We decided to use ghost for our platform because we were really curious as to how to use it. I personally prefer their UI to WordPress and I wanted to see how to develop my own app instead of having ghost host it. 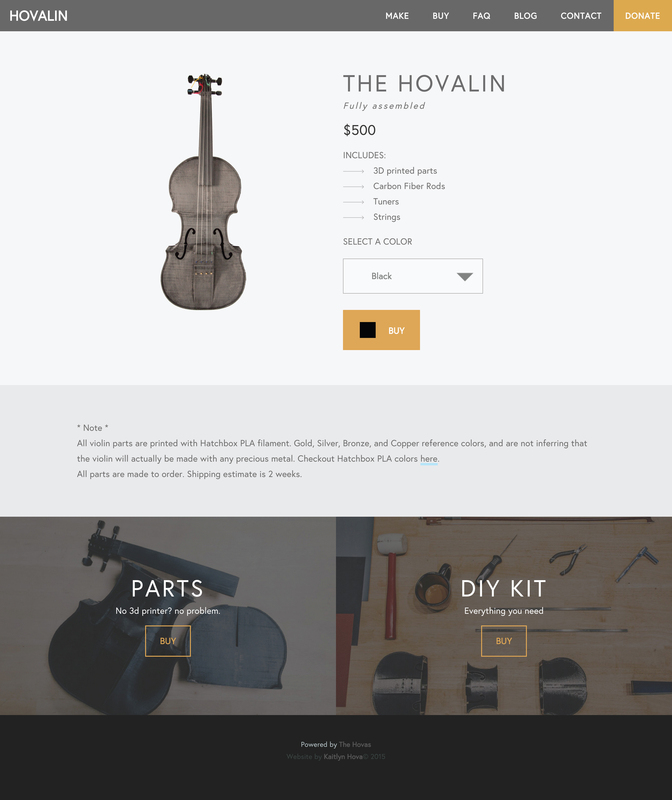 This page has a shopping list and a step by step guide as to how to put one of the violins together. A nice looking store where you can pick out hovalins/kits/parts in whatever color you want. Since we didn’t want to handle the money ourselves we ended up going with Paypal. Because everyone wants a blog! This actually was more difficult than it seemed at first because in order to make a list of all blog posts on a custom url (/blog) I had to hack into the core of ghost to make it happen. This page was a lot more fun than usual contact pages. I wrote a script that recognizes what day it is and tells the user “happy ___day” in the hero, and we also decided to go with the google re captcha for form authentication.